Val Katayev is the founder of Poise Lending. People often ask me how I went from building multiple companies in ad tech, music tech, data analytics and mobile advertising to being a lending fund manager. It didn’t happen overnight. In fact, it was almost a decade in the making. Here’s my story, and why I fell in love with P2P lending as an investment. Some call it P2P lending, but as more institutions such as hedge funds get in on the action, we’ve grown to call it marketplace lending. The biggest and oldest segment within P2P lending is consumer loans. As a result, I’m strictly talking about the consumer loans category as I present the ensuing comparisons and facts. Banks have maintained a profitable lending spread for the past 30 consecutive years! Shocking, right? Coming from a non-finance background, it certainly was to me at the time. Then I realized that I came across one of the best-kept secrets in investing at the time: “Prime” consumer default rates historically do not outpace the interest rates. Why is that? There is a substantially similar asset class: credit cards! 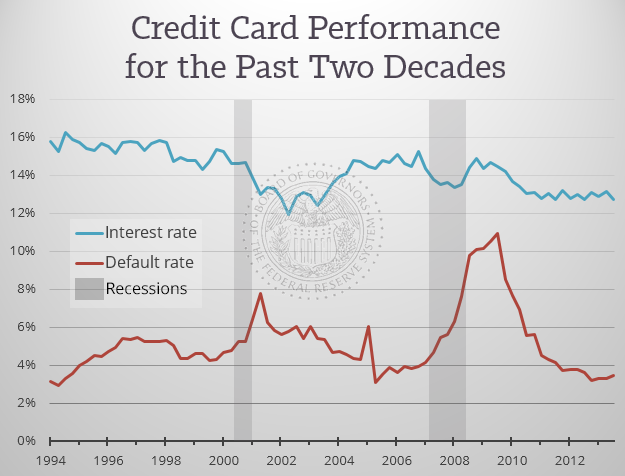 Just like P2P consumer loans, credit card debt is unsecured consumer debt, and it’s largely available to the same “prime borrowers” (people with good credit). 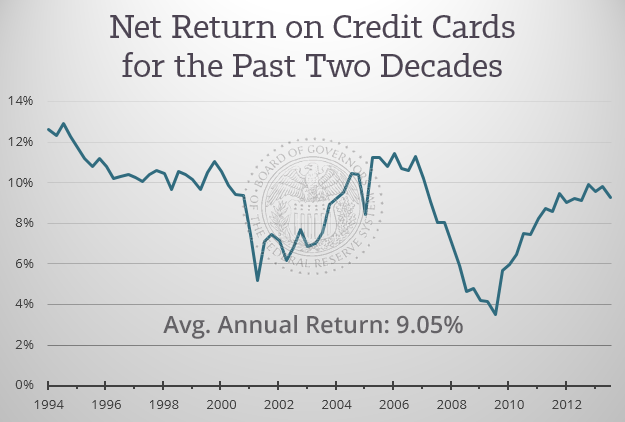 Take a look below at how credit cards performed for the past 20 years. Liquidity. While loans provide a great source of monthly cash flow, there is still not a good way to “sell” them if you need the cash immediately. With a fund, I would have access to far more liquidity because a fund has much greater cash flow. Reduced Cash Drag. Putting a big chunk of capital to work in a marketplace takes time. That means the cash sits around earning 0 percent while you’re putting it to work. A well-run fund is geared to put that money to work very fast. Diversification Benefits. Investing into a seasoned, mature and well-managed loan fund provides instant diversification and can further reduce risk. Over the next couple of years, many people asked me about the best way to get into P2P lending. If you’re a retail investor with as little as $2,500 or as much as $250,000, I’d strongly suggest that you open a Prosper or Lending Club account. Diversify your investment across as many loans as possible and as evenly as possible, with a goal of having at least 400 loans (remember, you can lend as little as $25 per loan). So there you have it, my (almost) 10-year history with P2P lending — and why I think it is a great asset class that has yet to be found by the masses.